The Eric Locke Realty Team is the #1 realty team in Wichita! 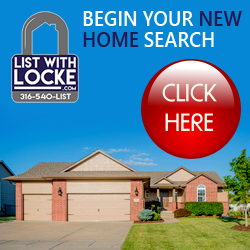 Eric Locke himself has been a Top Producing Wichita Realtor for over 13 years. Our realty team specialize in selling homes faster, for full price or closer to full price, than any other realtor or team. Put your house on the fast track to being sold today, call the Eric Locke Team. For home buyers, the Eric Locke Realty Team knows about homes not yet listed for sale, which means we can get you a showing before anyone else. We also know the forclosure/short sale process better than any other agent or team. If you value customer service, contact the Eric Locke Realty Team today. Click here to read what my past clients have to say about working with me.